Melinda Davenport is the breaking news anchor on “WISN 12 News This Morning.” Melinda joined the station in March 2014 and brings viewers of southeastern Wisconsin breaking news and trending stories from the WISN 12 breaking news desk. No stranger to cold weather, Melinda comes to WISN-TV from its sister station WMUR in Manchester, New Hampshire. Davenport was an anchor/reporter at the Hearst-owned ABC affiliate for more than two years. Most recently, she anchored the station’s weekday noon newscast and weekend evening newscasts. Davenport brings multi-market and multi-platform reporting experience to WISN-TV. Prior to joining WMUR, Davenport reported for WCAX-TV in Burlington, VT. She also free-lanced for The New York Times Company, writing and publishing online articles, and worked in the public relations industry. 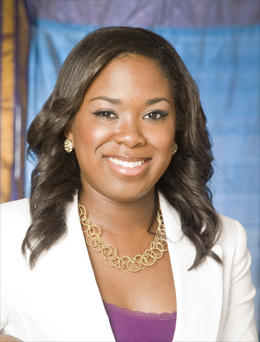 A Texas native, Davenport received her Bachelor’s degree from University of Houston. She followed that with a Master’s degree in Communication from Northeastern University in Boston. Davenport is a member of the National Association of Black Journalists and the International Association of Business Communicators. Melinda loves to shop and is a self-professed bargain hunter. She absolutely loves bass fishing, a hobby she picked up while living in New England. Melinda also enjoys international travel, listing Hong Kong and Tokyo among her favorite destinations.